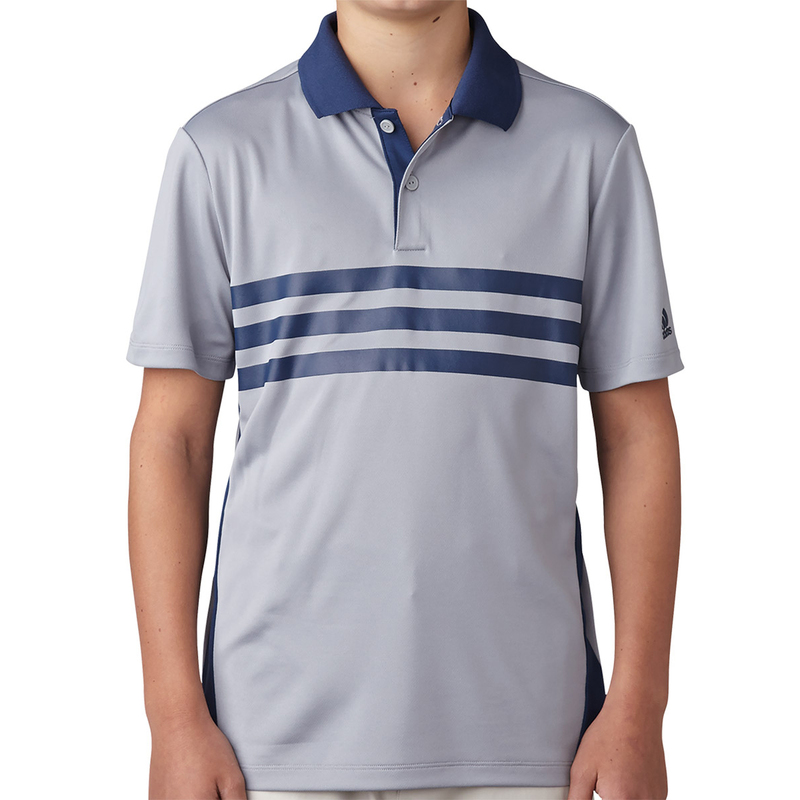 Note: All clearance clothing is brand new and an unworn product. However, it may not come with its original branded packaging. 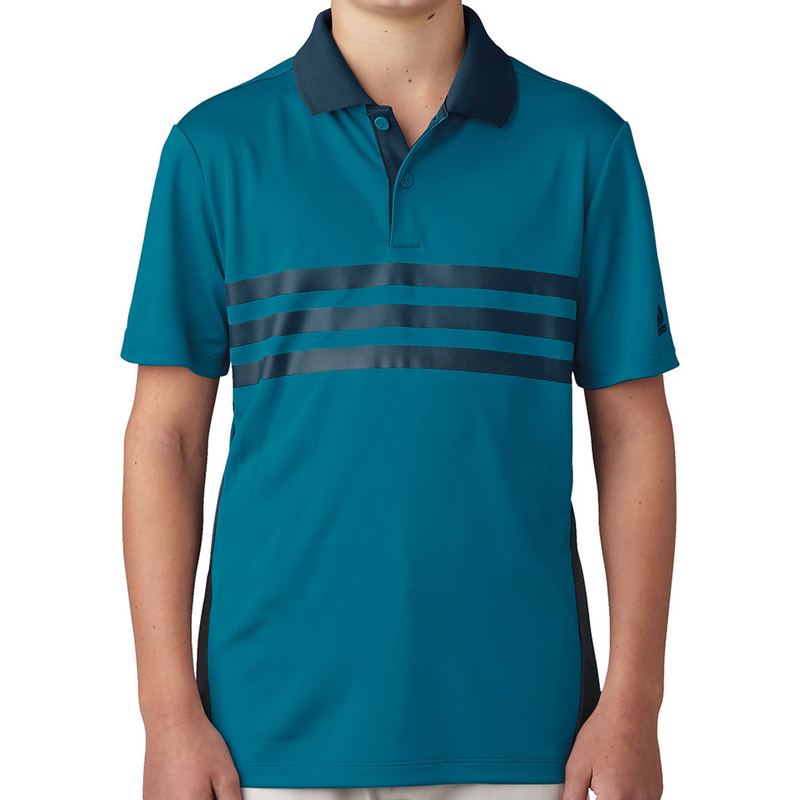 Stay on top of your golf game with this sporty styled polo shirt, that features contrast colour 3-stripes branding across the chest, and adidas raised heat transfer logo on the left sleeve. 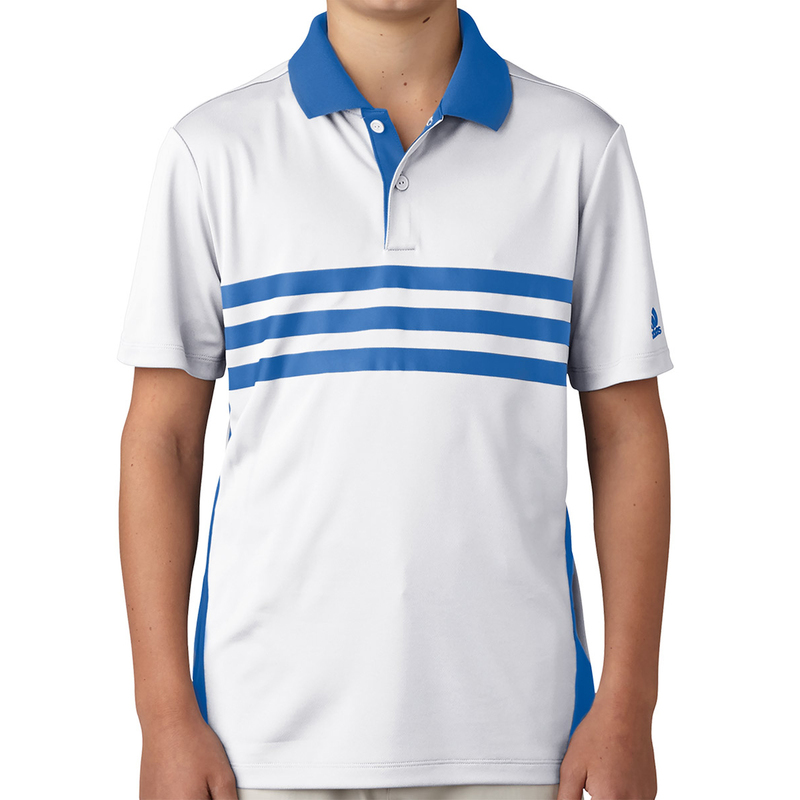 Plus has been constructed from a performance stretch polyester fabric, with fold over collar and 2-button placket which is perfect for playing golf.